In this expansion of the 2017 commencement speech she gave at her hometown Langley High, Lauren Graham, the beloved star of Gilmore Girls and Parenthood, reflects on growing up, pursuing your dreams, and living in the here and now. "Whatever path you choose, whatever career you decide to go after, the important thing is that you keep finding joy in what you're doing, especially when the joy isn't finding you." 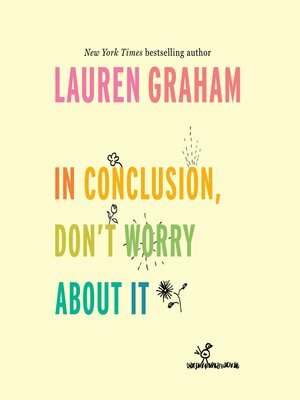 In her hilarious, relatable voice, Graham reminds us to be curious and compassionate, no matter where life takes us or what we've yet to achieve. Grounded and inspiring—and illustrated throughout with drawings by Graham herself—here is a comforting road map to a happy life.